The nation's most creative knitters are urged to put their best yarn forward and help support the rare colony of Little Penguins on Victoria's Phillip Island as AAT Kings (www.aatkings.com.au) teams up with Spotlight Australia (www.spotlight.com.au) and its TreadRight partner, Phillip Island Nature Park, to launch the new 'Knit to Win' promotion. 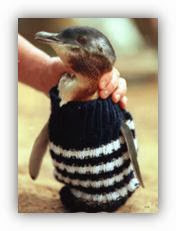 From now until the 31 January 2014, AAT Kings is calling on Australians to dust off their knitting needles, select a stylish yarn and knit a life-saving little jumper for these pint-sized creatures. These jumpers, which will be sent to Phillip Island's Wildlife Rehabilitation Centre, will be used to protect injured Little Penguins helping to keep them warm and prevent them from preening and swallowing toxic oils. Entrants with the most creative flair will win a grand prize valued at over $7500 that includes a 5-day AAT Kings Red Centre Short Break for two plus return economy flights from any capital city in Australia, a Phillip Island 'Ranger for a Day' experience and a $250 Spotlight voucher. 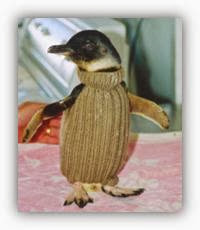 Five runners up will receive a Phillip Island Adopt A Little Penguin pack and a $50 Spotlight voucher each. To go into the running to win these great prizes, simply register at www.knittowin.com.au and download your free knitting pattern. Entries close Friday 31 January 2014. As part of AAT Kings' commitment to TreadRight, Australia's favourite guided holiday company has donated $95,000 over two years to Phillip Island Nature Parks to assist in the research and management of Australia's most famous colony of Little Penguins. AAT Kings is also offering you the opportunity to adopt your very own Little Penguin by booking an AAT Kings Melbourne Day Tour to Phillip Island. 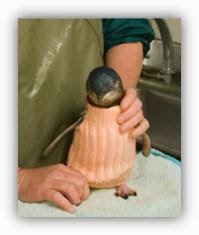 For a small contribution of $37.50, sign up to the Adopt a Little Penguin program and AAT Kings' will cover half of the associated fee. For more information on the 'Knit to Win' competition, visit www.knittowin.com.au, call 1300 AAT KINGS (1300 228 546) or speak to your local travel agent. Connect with AAT Kings and follow us on Twitter @AATKings or Facebook http://www.facebook.com/AATKingsAustralia.